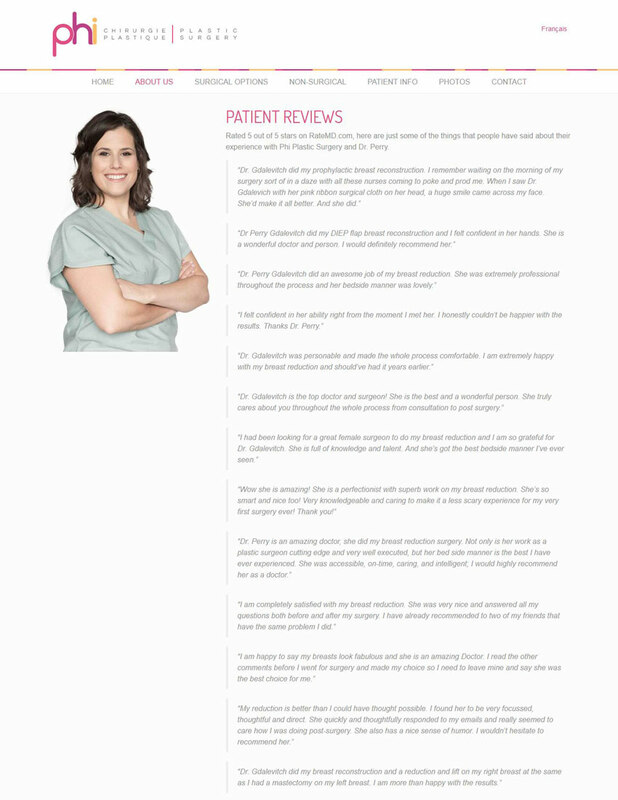 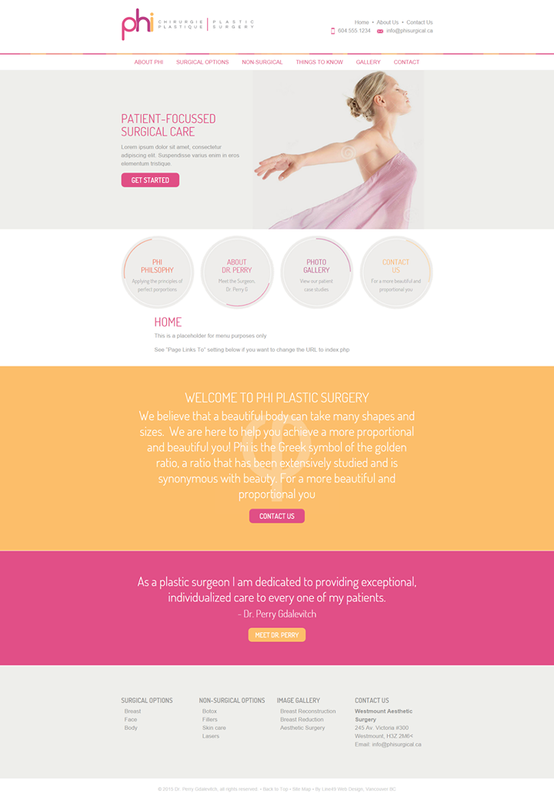 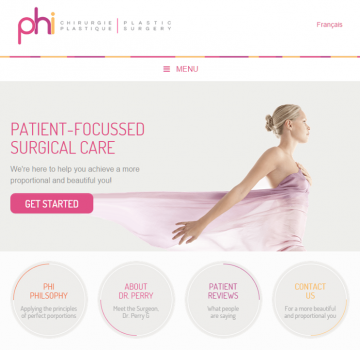 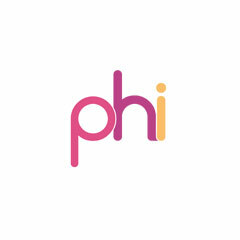 Phi Plastic Surgery is a reconstructive and aesthetic plastic surgery practice in Montreal, Quebec, providing a variety of surgical and non-surgical treatment options to their patients to help them achieve a more proportional and beautiful self. Industries: Consumer Services Websites and Health & Medical Websites. 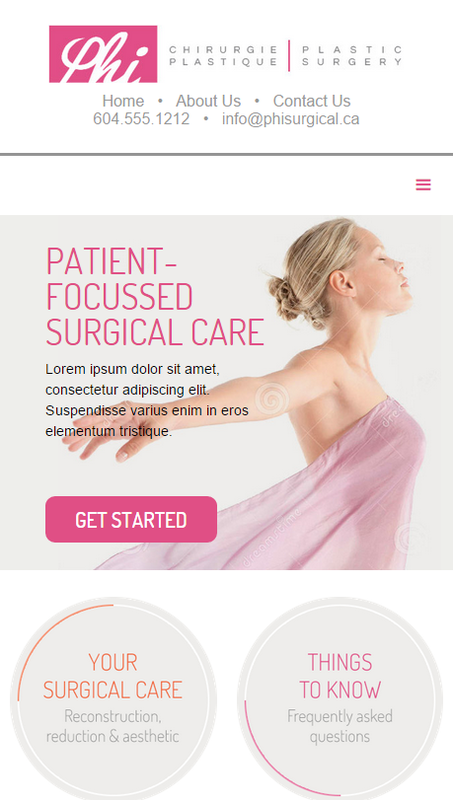 Layout & Design: Box Layout and Responsive or mobile-friendly web design.